Back row: Sgt Robert Ennis; Pamela Mullan, Housing Executive; Chief Insp. Ian Magee, Pauline McGonigal, Glens Community Association. Front Row; Tina McCloskey, Glens Community Association; Martina Forrest, Housing Executive; Sinn Fein Colr. Dermot Nicholl; and Eddie Breslin, Housing Executive. Cars have been damaged, windows smashed and wheelie bins set on fire and residents in a Limavady estate have had enough of it. And they made it clear at a public meeting on Wednesday night they’re no longer willing to tolerate the anti social behaviour plaguing their estate. “What have you done and what are you going to do?” one woman asked police present. 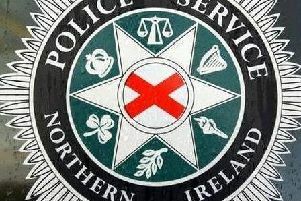 CI Magee said police had been in the Glens for almost seven days inside a month period, which he believed was “reasonable” and “quite a high presence”, but he said he understood a victim of crime would feel differently. He said people need to come forward and, even if they don’t want to make a statement, they can give the information and they will act on it. A police officer told residents the turnout at the meeting showed people were not prepared to accept what is happening. He urged residents to report what they see so police can act on that information. Tina McCloskey from the Glens Community Association said all the issues raised at the meeting, attended by Housing Executive representatives, would be discussed at the next ‘anti social behaviour forum’. “The Glens is a lovely estate and, when you walk around, there are a lot of green areas and the majority of people who are here have been here for years and they want to live in peace. It’s just small numbers of youths who are causing th e problems. I’m going to try and get a youth worker in the area to engage with teenagers involved, but people have to report incidents so there will be more police in the area,” said Mrs McCloskey.